Vinicius Queiroz was coming off the biggest win of his MMA career when he was matched up against Cheick Kongo at Bellator 106, but a severe injury to both knees kept him sidelined for almost two years. 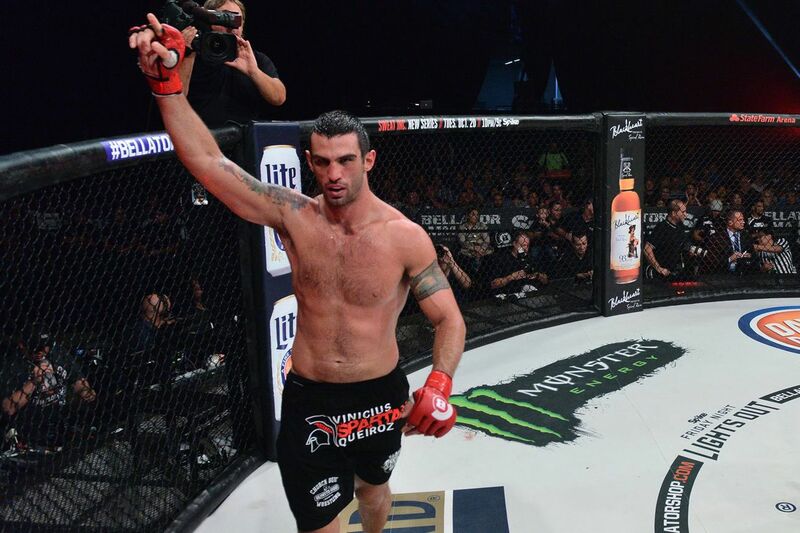 They are finally slated to fight at Friday’s Bellator 150, and “Spartan” feels honored with the opportunity. Queiroz submitted K-1 veteran Ewerton Teixeira in his return to competition last September. Replacing injured Augusto Sakai at the Kansas Star Arena in Mulvane, “Spartan” expects to perform better than in his last bout. Training with some of the bets fighters on the planet, including UFC heavyweight champion Fabricio Werdum, Queiroz feels he’s at his best. “It’s great that I have the opportunity to train with Rafael (Cordeiro),” said Queiroz. “He deserves all the awards of best coach in the world. He’s impressive as a coach, the way he makes everyone fight at his best, how much he makes us believe in ourselves.